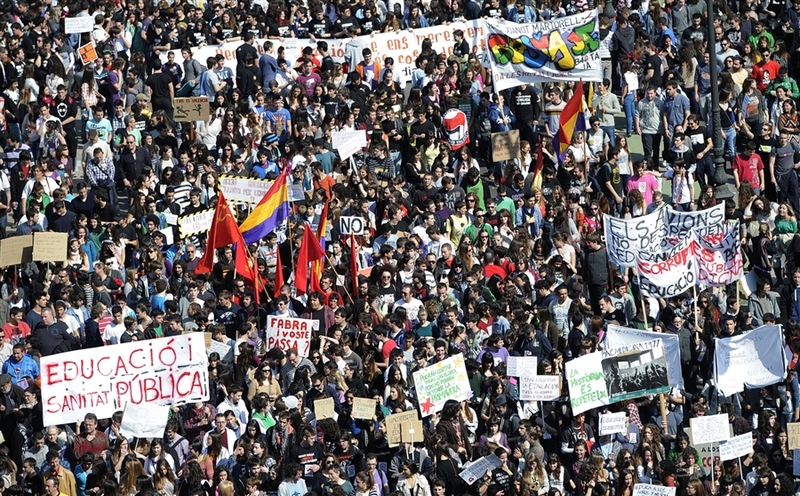 Valencia, Spain Feb. 29, 2012. SDS in cooperation with other student and worker groups on campus are holding a rally starting in the UWM Concourse, with a March out to Spaights’ Plaza to raise awareness and make demands regarding education rights on our campus. College campuses throughout the country will be conducting actions as well. It’s imperative that now more than ever we stand up and demand education rights, as tuition is set to go up another 5.5% every year. 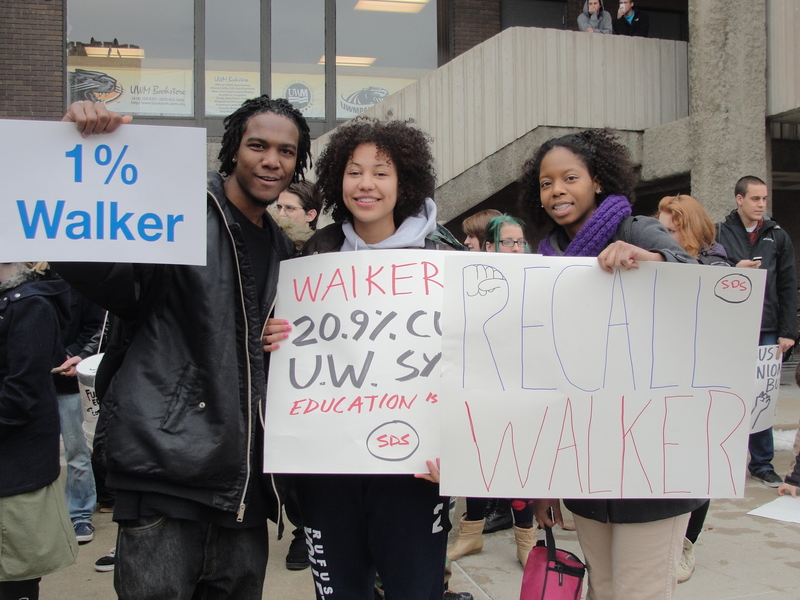 According to a recent news released by WUWM radio, Walker and state lawmakers have decided to cut another $46 million from the UW System after having already cut $250 million with the passing of the Budget “repair” bill. According to a recent UWM Post Article, Chancellor Lovell does not seem all that interested in keeping tuition costs down either. THIS IS UNACCEPTABLE. When education rights are under attack, we must stand up and fight back! Jan. 26, 2012 at UW-Milwaukee. A US court has charged Bradley Manning, the former US Army intelligence analyst who leaked classified information to WikiLeaks, with 22 counts. 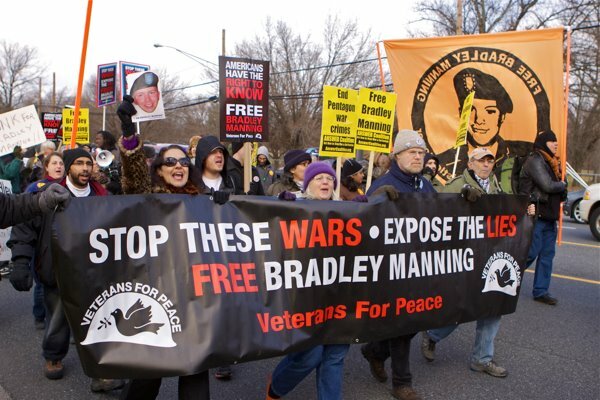 Press TV talks with John Parker, West Coast Coordinator for the International Action Center in Los Angeles, who discusses Manning’s actions, the information he leaked as well as US war crimes across the world. The video also offers the opinions of two additional guests. Mark Dankof, former US Senate candidate from San Antonio and Michael Maloof, a former Pentagon official in Washington. Voice your opposition to this phony debate on whether military attack or sanctions and sabotage should be used to attack Iran. Both sides of this debate are promoting war with Iran and the death and destruction of yet another country in the Middle East. The only debate is what weapons to use. Endorsed by (List in Formation) Answer Coalition, Baltimore-Washington Area Peace Council, International Action Center, Pakistan USA Freedom Forum, SI Solidarity with Iran, StopWarOnIran.org Campaign, WarISACrime.org – David Swanson, WESPAC, World Can’t Wait and others……. 2.) Instead of a meeting to promote war called by the Council on Foreign Relations, come to a NYC Forum to oppose war and sanctions on Iran and Syria. Ashraf Girgis, N. M. D. (Naturopathic Medicine Doctorate) Native born Iranian American woman speaking about the difficulties Iranian Americans face in the U.S. during these hard times. 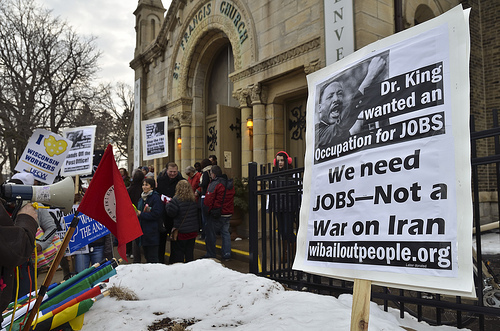 Jan. 16, 2012 Dr. King day Milwaukee, WI. published Who Killed Che? How the CIA got away with Murder. instrumental role in Che’s death. Lawyers You’ll Like: Putting Human Rights First. Montes Court Hearing to Uncover FBI Lies. The FBI is relentlessly persecuting Carlos Montes. At his next court hearing on March 2 in Los Angeles, Carlos Montes’ lawyer will make discovery motions on how FBI special agent Matt Weber worked with L.A. Sheriff Detective Don Lord and the Joint Terrorism Task Force in this frame-up attempt. Join us at the Court! 1. Organize a solidarity protest and demand, “Drop the Charges! No FBI Frame-Up of Carlos Montes!” on March 2, 2012. Send your announcement to info@StopFBI.net for posting. 2. 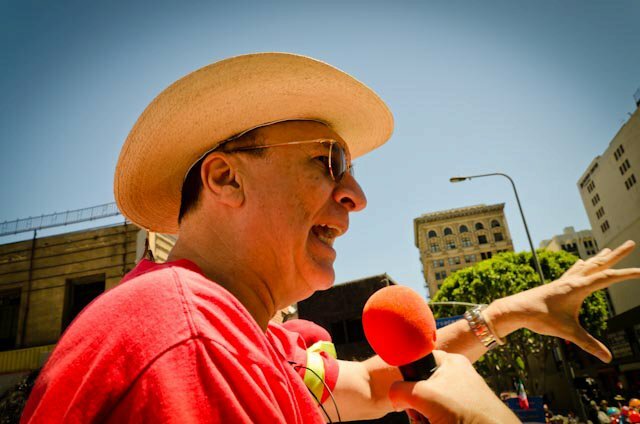 Pass a resolution in solidarity with Carlos Montes or write a letter.